Welcome to the first Sunday Supper Series recipe. I've posted this recipe in the past here and here, but since I love it and it's super simple, yummy, and reheats well, I thought I'd post it again. When I posted it in March, I spiced it up a bit. This time I scaled it down to serve 2 + leftovers and left out the crushed red pepper. Since we'll likely be out and about today, I baked the chicken in the morning and will reheat when we get home. I hope you have a wonderful Sunday and, if you're off for MLK Day, have a relaxing day! 1.Preheat oven to 400 degrees F. In small bowl, mix apricot preserves, balsamic vinegar, salt, and pepper. Cut each onion into wedges. 2. Arranges chicken pieces and onion wedges in a square pan. Drizzle with olive oil. 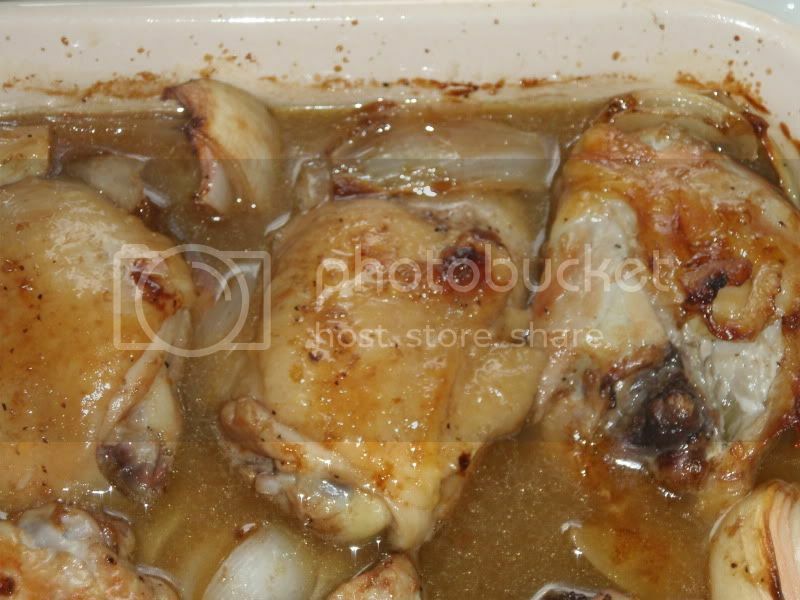 Spoon apricot preserves mixture over chicken and onions. Bake 30 minutes. 3. 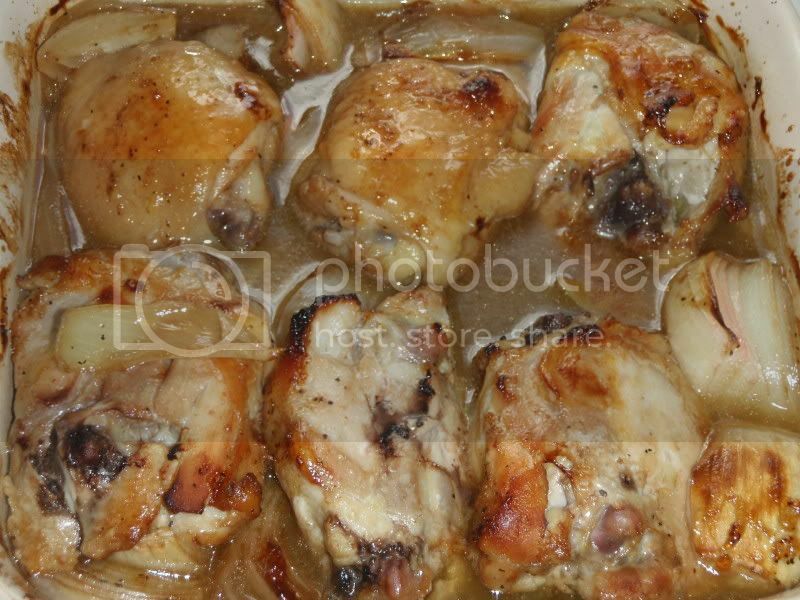 Turn chicken and baste with juices. Bake an addition 15-20 minutes until chicken is cooked through.